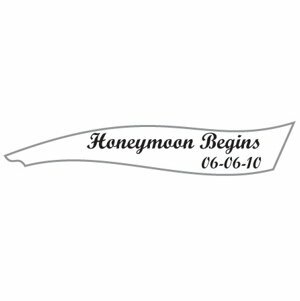 Personalize any of our sailboat favors with this long thin clear sticker that can be personalized with 2 lines of text (shown with Honeymoon Begins.and the date, but you could put your names and the date). 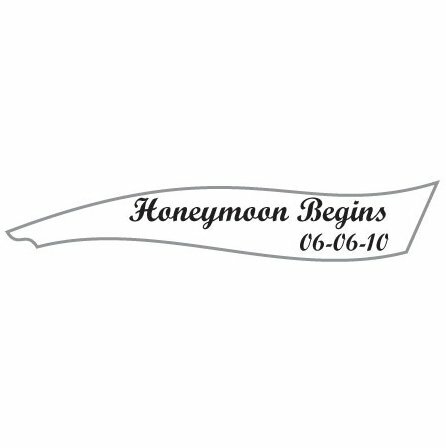 See the optional photo for the sticker shown on our sailboat magnet favor. The minimum order is 36 stickers. 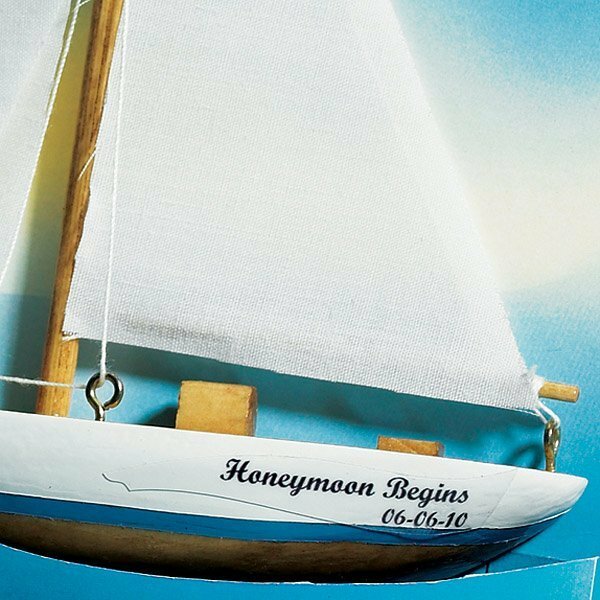 Product dimensions: 2 x 0.375".